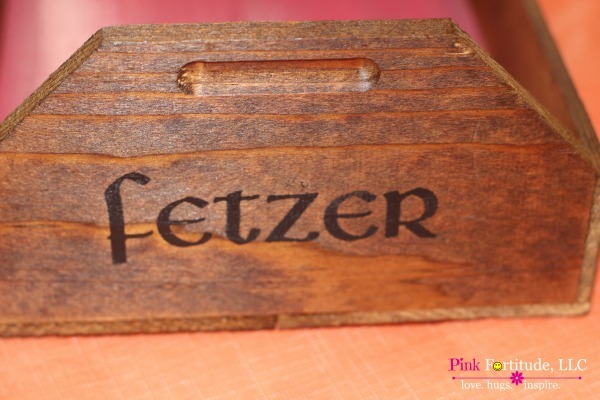 I’ve been hanging onto this old Fetzer crate for a while, waiting for the perfect opportunity to upcycle it. 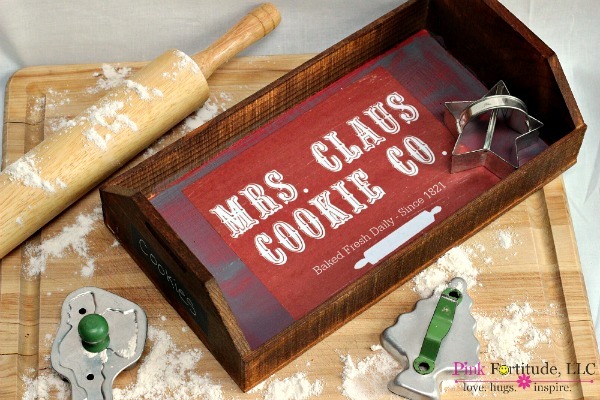 I’ll take you through the steps for the DIY to make the Mrs. Claus Cookie Co tray, and send you to the source for a free printable. Who is ready to leave out some milk and cookies for Santa? 1. 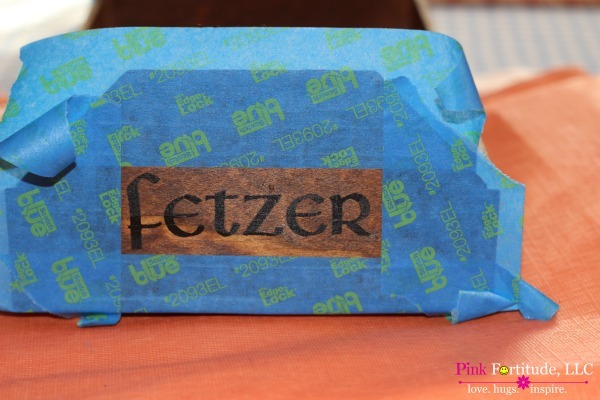 Since the Fetzer box was a lighter wood of moderate condition, I used some leftover wood finish in a darker color. Two light coats was all that it needed. NOTE – be sure to wear gloves when applying wood finish. 3. The wood finish wasn’t dark enough to cover the lettering. I spent a day thinking about how I wanted to hide it. And then it hit… chalkboard paint! 4. Anyone who knows me, knows that I don’t measure anything. I just eyeballed the painters tape. It took three good coats of black chalkboard paint and it turned out great. Here is the end result! I love the tray, and even with the painting challenge, it all worked out. You can write anything you want on the chalkboard labels. I want to express my sincere gratitude to Angie over at Kick of Time for her brilliant idea, tutorial, and free printable! As bloggers, we love sharing our ideas, and as I’ve said before, the goal is to inspire you to make something similar for your home! The timing couldn’t have been more perfect, as when I was finishing up this project, I was also updating some of the pictures from my Grandmother Charlotte’s old-fashioned sugar cookie recipe. 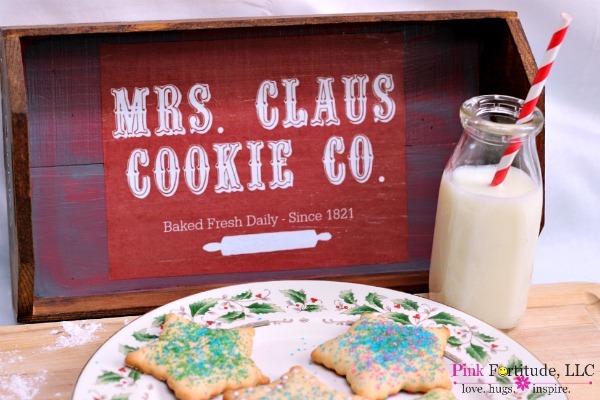 Love, hugs, and Mrs. Claus is baking in town! Holly, my crafting friend, you hit another one out of the park with this DIY. I’m a big fan of Knick of Time, too, with all her free images and ideas. Congrats on such a lovely repurposing craft. This is such a precious idea!!! Thank you for sharing! Beautiful!! Love how it came out! Very rustic & elegant – Rustic Elegance! I LOVE it! Pinned and preparing to make it myself, thank you. So cute! 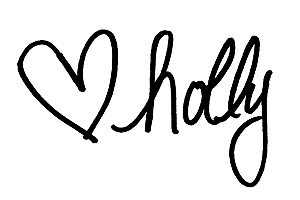 Aren’t, Angie’s free printables the absolute best! My santa was also a fan of PBR! But he really loved buckeye balls the most 🙂 I really love the way this turned out, so much so that it will be my feature pick for Sunday’s Merry Monday party! Thanks so much for sharing! So adorable – love the idea, the color, the graphics, and how you staged the photo so beautifully. Pinned to share. What a striking Christmas tray. This would be adorable on a table or hanging on the wall like a sign. Love how you tried different stains and such till you got what you wanted because the end result is gorgeous! That turned out sooo cute! I need one just like it! What a great holiday tray! Oh my goodness! This is precious, girl! I’m heading over to pin it, now. LOVE IT! Hi Holly, I just love this tray! It’s such a cute makeover! Just letting you know I am featuring it tomorrow night on Best of the Weekend. So lovely!! Perfect for Christmas! I think this tray is beyond adorable! What a create use of a really cute free printable too! 🙂 Merry Christmas! Beautiful DIY! I love how simple this is to do. Thanks for sharing! Stopping by from the Make It Pretty Monday party. This is cute I’m thinking of making a tray for the season as well. Thanks for the inspiration and those awesome DIY tips. $40.00 for the tray, wow. Hi Nancy – In case you didn’t read the backstory of these creations…. Finding beauty in the broken. This item is a piece of a new collection which parallels my journey as a breast cancer survivor. While going through treatment, I was bald, missing part of my breast, and thrown into early chemical menopause. I was completely broken and my self-esteem was shattered. When I hit rock bottom, I had to pick myself up and redefine true beauty. Each item in this collection is one-of-a-kind and handmade. They are pieces that were old, and/or rusted, and/or covered in dirt and cobwebs, and/or ready for the trash or landfill. They are the pieces that everyone else thinks are worthless and should be thrown away. With a little bit of creativity and a lot of love, I have resurrected these items into beautiful treasures. Not only will you receive a unique piece that parallels a beautiful metamorphosis, it will also be a daily reminder to you of how beautiful and precious life is. 100% of the profits from this collection will be channeled into Pink Fortitude, LLC’s breast cancer awareness and advocacy program via book donations to cancer centers, awareness materials, and donations to The Tigerlilly Foundation and The Dr. Susan Love Research Foundation. I certainly get what you’re saying. I’m in a different affordability level, not your target audience. What a great idea! I am always telling my grandkids that I am Mrs. Claus. And I think Mrs. Claus needs a cookie tray! This is adorable! 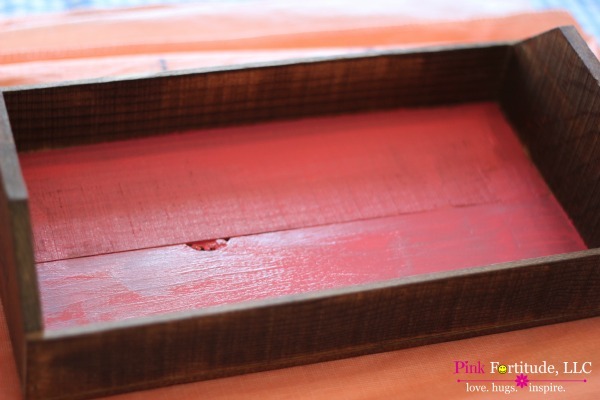 I’ve already pinned this one and will be looking for a wooden crate to try my own! This is such a wonderful upcycled project! Who wouldn’t want to eat delicious cookies served on such a gorgeous tray? Thanks for sharing your fantastic DIY with us at Merry Monday this week! I love that tray. It’s so cute!!! 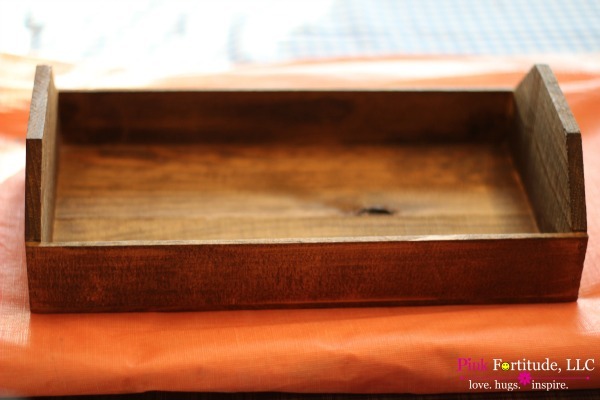 That was a great way to transform one of your extra trays!